It’s amazing how fast summer goes, isn’t it? And summer 2016 was no exception, but there were many exciting events that you might have missed if you were away on vacation. Here’s a short recap to catch you up. 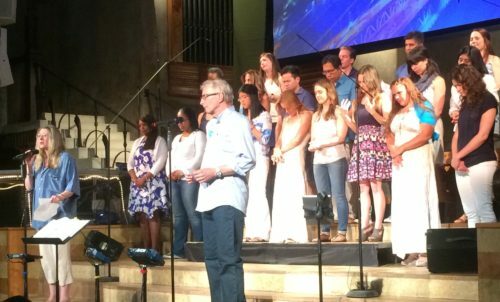 We kicked off the summer with Trinity’s worship event: Praise Goes On, which featured the Trinity Choir, Trinity’s Band and the Kid’s Worship Team. Our hearts were lifted in prayer and worship to our God. We want His praise to ever be on our lips from now through eternity! Our Rwanda Mission Team returned to Rwanda in July 2016 and were able to witness the official opening of the Gitantu Trinity Primary School. They also accomplished many projects while they were there and rekindled many long-standing friendships. See the full update here. 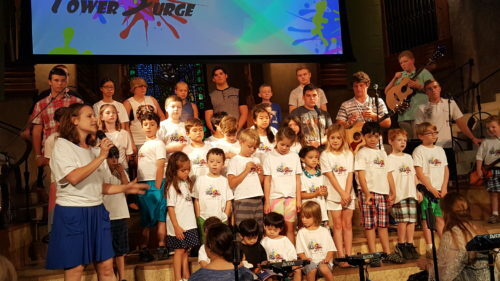 Meanwhile back in New York in July, Trinity hosted 50 kids in our VBS program: Power Surge. 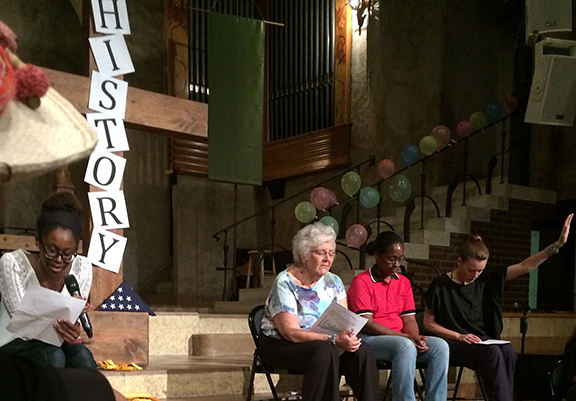 The children learned about the early believers in the book of Acts who were zapped by the power of God! We are very grateful to our friends in Pennsylvania who have come for the last three years to support VBS. We couldn’t have done it without you! In response to the horrible massacre in Orlando in July, we held a special prayer meeting to pray for our nation and especially the relatives and friends of the victims of all the recent shootings and racial tension in our country. We had a powerful time of testimonies and prayer as we cried out to our Father to heal our land and forgive us for the hatred in our hearts for one another. We had close to 200 leaders from across the city come together to become better leaders at the Global Leadership Summit this August. We were challenged, stretched, and blessed by God’s presence and word delivered through world leaders! In August, we said goodbye to our dear friend, Margaret Armfield, who has been at Trinity for over twenty years and has served her family well in many different roles. Most recently, she was a Missionary Deacon for the last several years. She will be missed, but we pray for many blessings on her new life as a retiree in North Carolina! 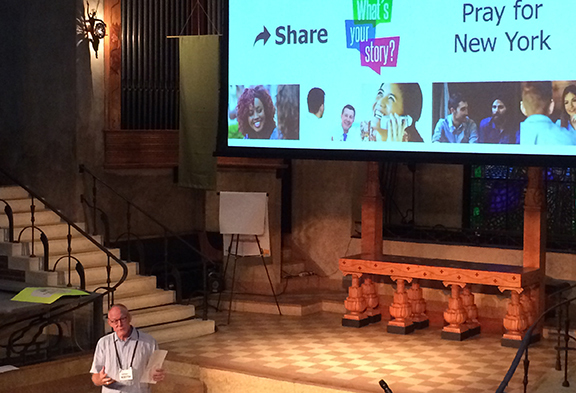 During our summer sermon series (Share: What’s Your Story? ), our elders helped us get a better understanding of what it means to evangelize and tell our own story so we can share the love of God with others in our spheres of influence. 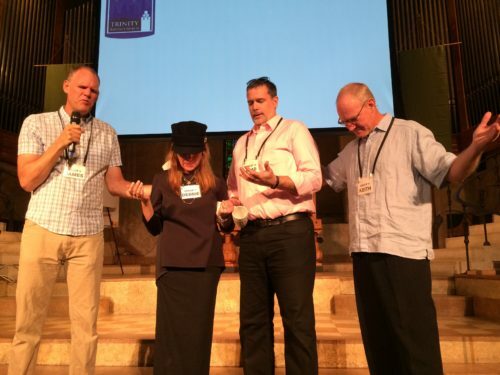 We were challenged to be bold and take a risk, pray for divine appointments. Our stories should be a guide to people, and we should be prepared to tell people how God has changed us in a concise, non-boring way! It is a matter of eternal significance. We are His plan for spreading the gospel. There is no Plan B. If you want to hear this series, you can find all the sermons here. Ground Takers 2016! 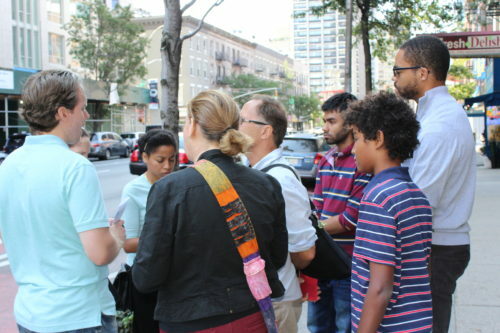 We had just shy of 100 people involved (99) and we covered over 2,000 blocks in prayer across 48 neighborhoods and all of the boroughs except Staten Island. Some people walked and prayed; others prayed and fasted; some just prayed. It was a very successful year 3 and we praise God for all that He is doing through our prayers and for aligning our hearts with His and for opening our eyes to see the brokenness all around us. 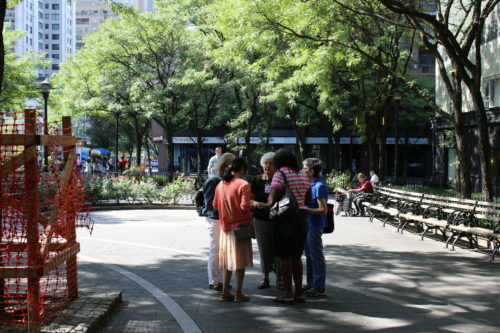 On Labor Day weekend, we ended Ground Takers by having the entire congregation go out into the surrounding area around Trinity to pray for the neighborhood. We had ten prayer groups go out and one group stayed back at the church to pack up 205 toiletry kits which were delivered to the Salvation Army. Many thanks to all who participated in praying and packing for our city. 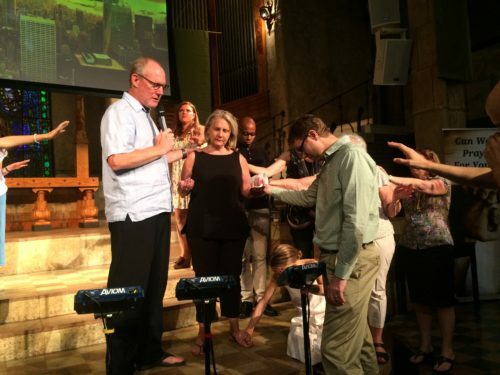 If you want to continue to pray those prayers, please click here..
And on September 4th, we said goodbye to more friends, as it was Brad and Debbie Darling’s last day with us. Brad and Debbie served on the prayer team for the last two years and helped grow the prayer team in numbers and depth. They have moved to Japan to carry out God’s calling on their lives there. We pray for travelling mercies for them as they will be travelling quite a bit for Brad’s new job.